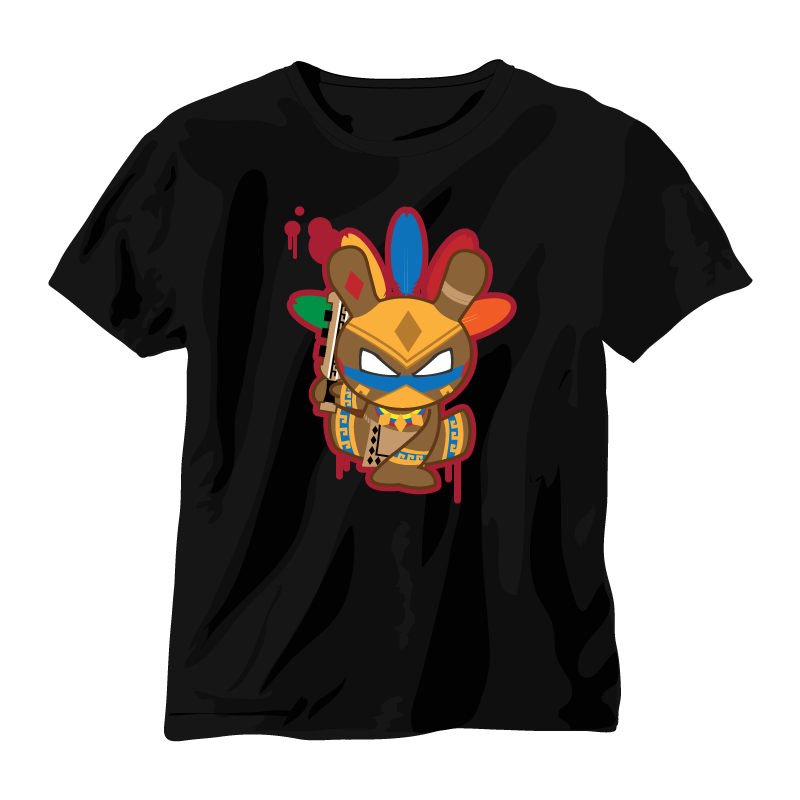 Free runner style, Aztec Warrior Quauhtli, the eagle of the Aztec Warriors is ready for war. Battle, and his incredible craftsmanship of weapons are his specialties. He will dismember you with his maquahuitl (macahuitl), the Aztec sword if you dare step in front of him. Quauhtli literally mean eagle in the Aztec language Nahuatl. Is available for grabs here. 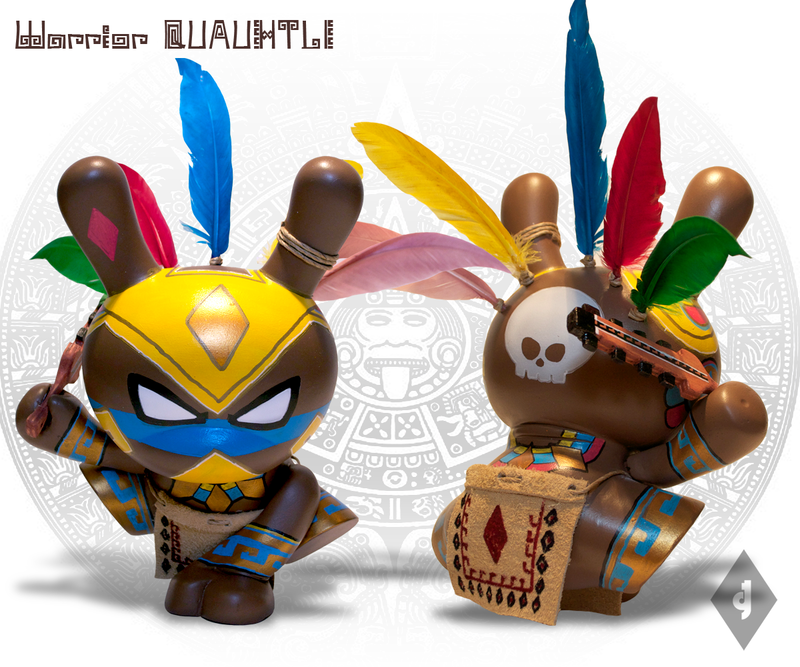 Accessories include a hand made maquahuitl (macahuitl), the Aztec sword and leather skirt (not removable). Limited to 5. These are hand crafted and painted. Some minor differences are expected. This being the year the maya calendar ends and seeing all the discussions on the web, it took me back when I was a kid living in Mexico learning about the history of the Aztec’s and Maya’s. I was born in the US, but at one point my family decided to move to Mexico. I attended 1st through 3rd grade there before we decided to come back to the states. I attended a catholic nun school. Yea, it’s true they slap your hands with a ruler. The schools there are a lot different. I don’t remember doing a lot of coloring or sculpting with play doh. There it’s more down to business. Learning history and math. 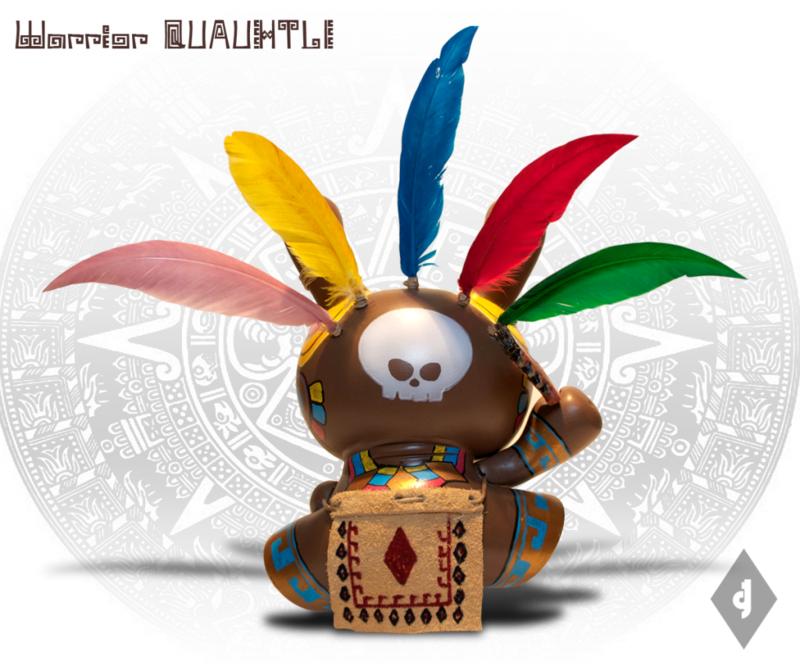 I remember learning about the Aztec culture. One of my favorite paintings was of the Aztec Warrior holding the maiden, with a background seen of the great volcano Popocatépetl, the second highest peak in Mexico after the Pico de Orizaba. The Aztecs were all about war and incredible weapon fabricators. My uncle was a collector of weapons and I remember seeing this bat with sharp rocks. The bat sword looked evil, and though I didn’t know what it was, it was clear to me it was a ruthless weapon. All the above made this custom much more fun to work on. I hope you enjoy it. Welcome to my new site were I will post new releases, teasers, and share some of my process or places and people I meet. I’m flattered by the interest people have and the questions I get. I figured this is a good place to share with everyone. I sometimes like to share my experiences as well and of course show off my work when possible.